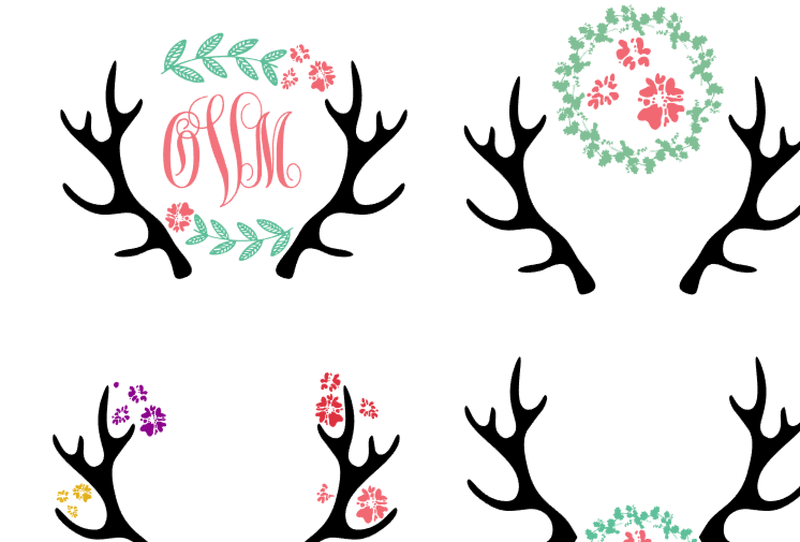 If there was ever a Silhouette CAMEO trend that will outlast all the others it has to be vinyl monogram decals!! 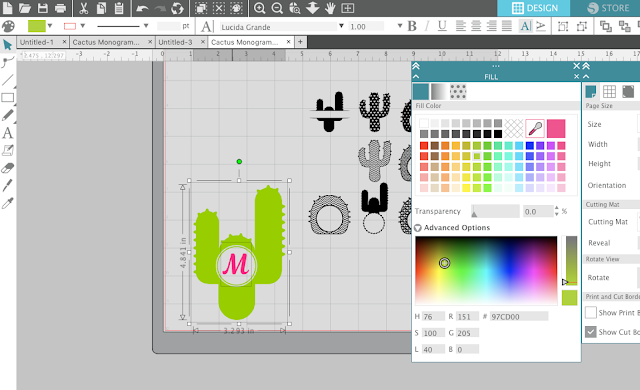 I'm constantly being asked about Silhouette monogram tutorials...everything from designing monograms to where to find monogram fonts or working with monogram designs. 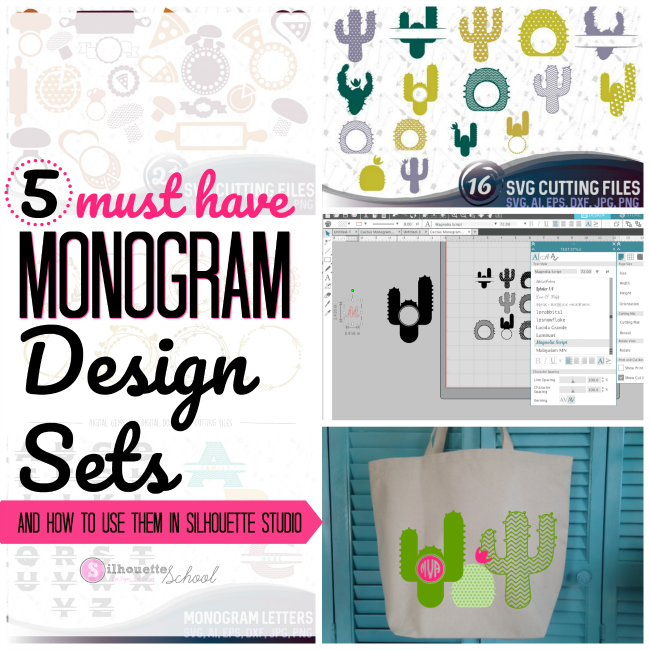 Since I know they're in such high demand, today I thought I'd share not only 5 awesome commercial use monogram decal sets, but also some tips on using them in Studio! 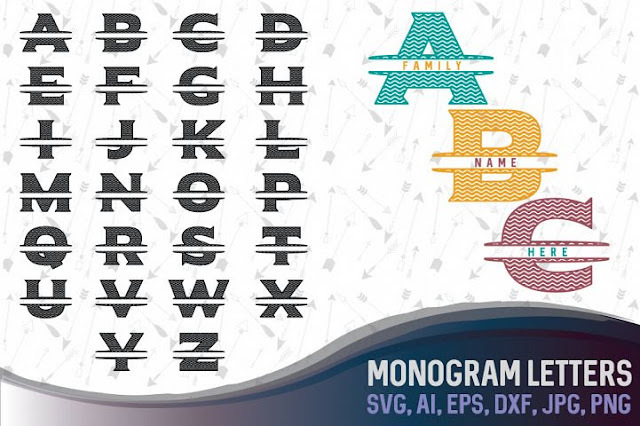 There are lots of vinyl monogram designs out there, but not all of them are commercial use - and rarely do you find multiple sets bundled together! That's why I was so thrilled when I saw the new Craft Bundles Craft Away bundle which includes - among a ton of other goodies - five monogram design sets!! Five!!! Take a look....there's everything from cactus monograms to monogram frames to kitchen gadget monogram decals. I mean you could monogram your mixer if you wanted to! To open downloaded designs in Silhouette Studio after purchasing from Craft Bundles, unzip the files, and then bulk import by dragging and dropping them into your Silhouette Studio library. 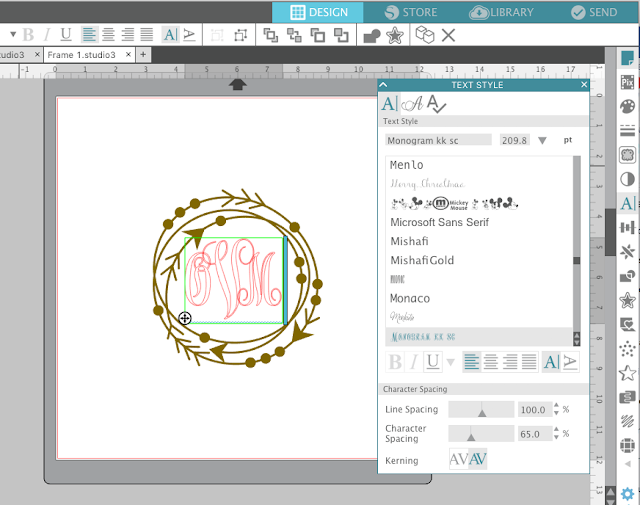 Then find the monogram design or design set in your library and double click it to open in Silhouette Studio. 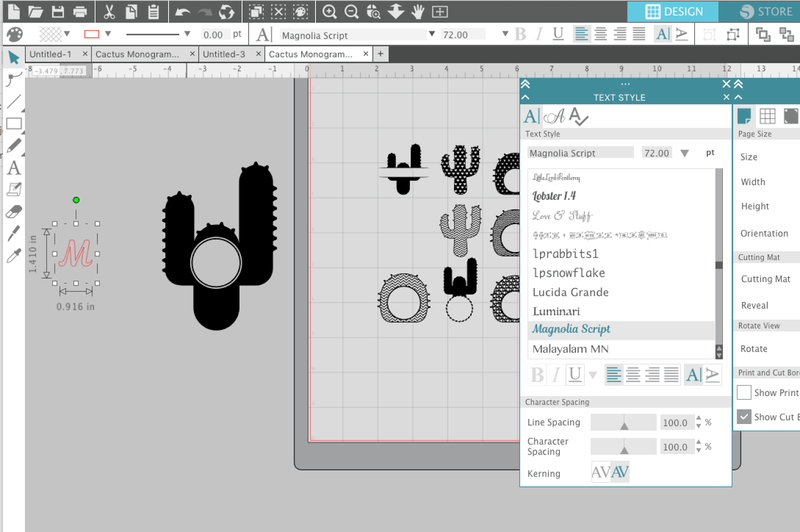 If it's a set you may need to ungroup (right click > ungroup) to work with an individual design in Silhouette Studio. 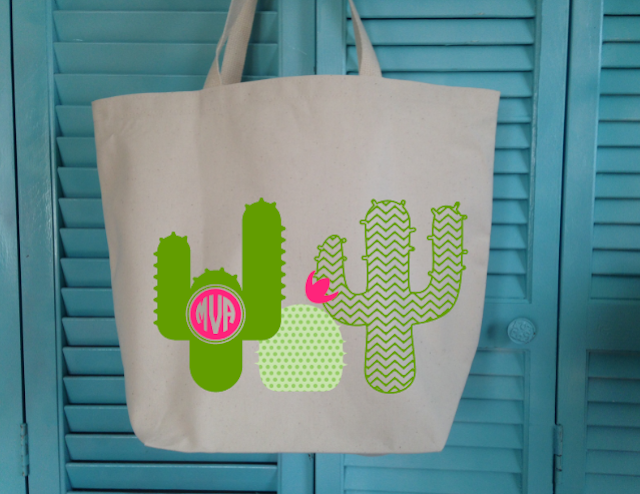 From here you can get creative designing your vinyl monogram decals. 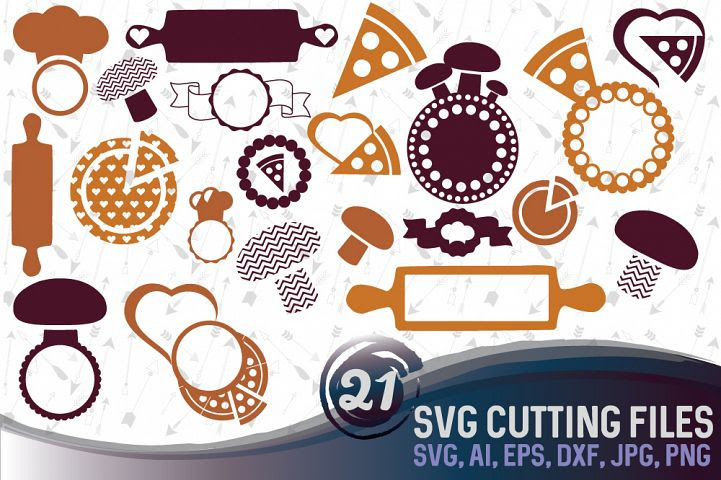 Keep in mind, I keep referencing "Vinyl" but these monogram designs can be used as stencils, heat transfer vinyl monograms, stamps, or on printables! You can go about adding the monogram to the design a few different ways. For this design I used the text tool to type out a single letter monogram. Then I sized it by pulling on the corner nodes and pulled it into the center of the monogram design. 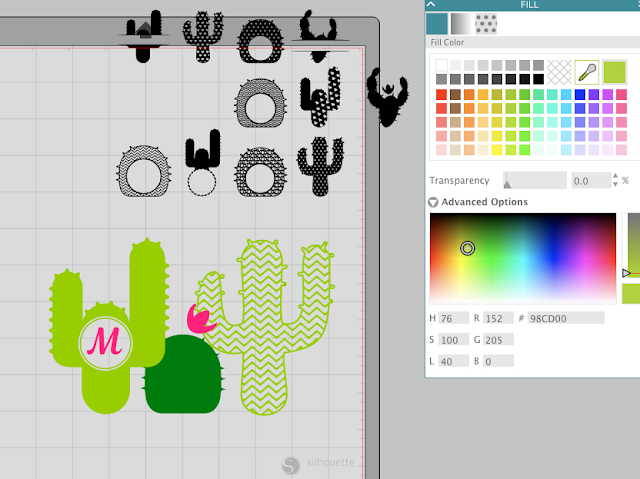 When I'm designing in Silhouette Studio I like to change the color of all of the design elements to match the color vinyl or HTV I plan to cut on (it's just a reminder to me, it doesn't actually tell the cutting machine or the Silhouette Studio software which vinyl to cut on). 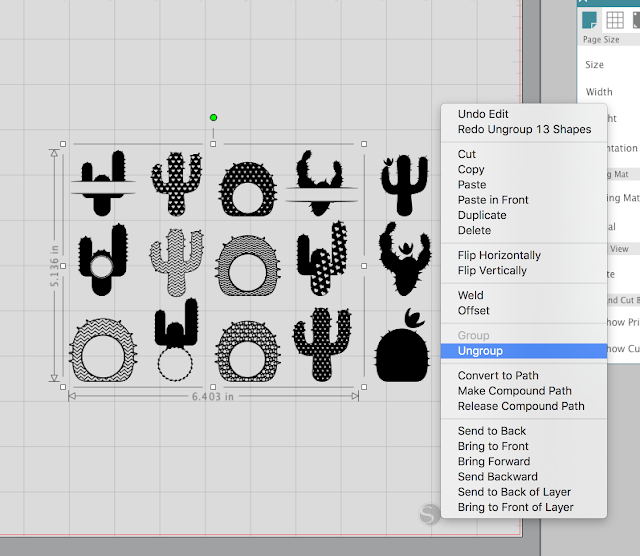 This is easy to do with the Fill Color tool. You can cut the entire vinyl decal on the same color material or use your favorite vinyl layering method to make a multi-color vinyl monogram decal - which is what decided to do! I even added a few of the other cactus designs from the same set. Of course you could also swap out the single letter for a circle monogram font. Looking for a Silhouette Studio circle monogram tutorial? You're in luck! 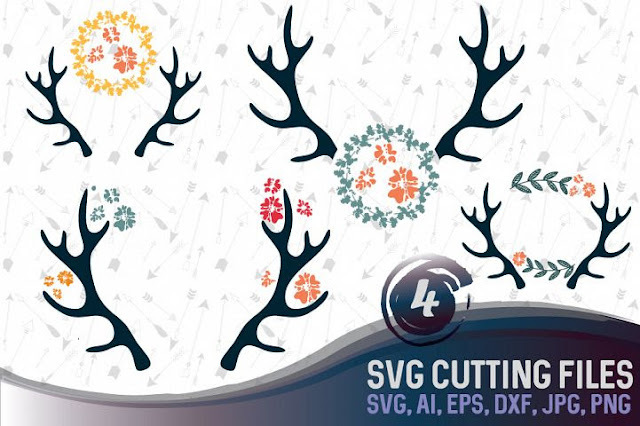 Play around with the monogram sets and experiment with them using different fonts from the Craft bundle's Bundle or from those already in your Silhouette Studio font list. 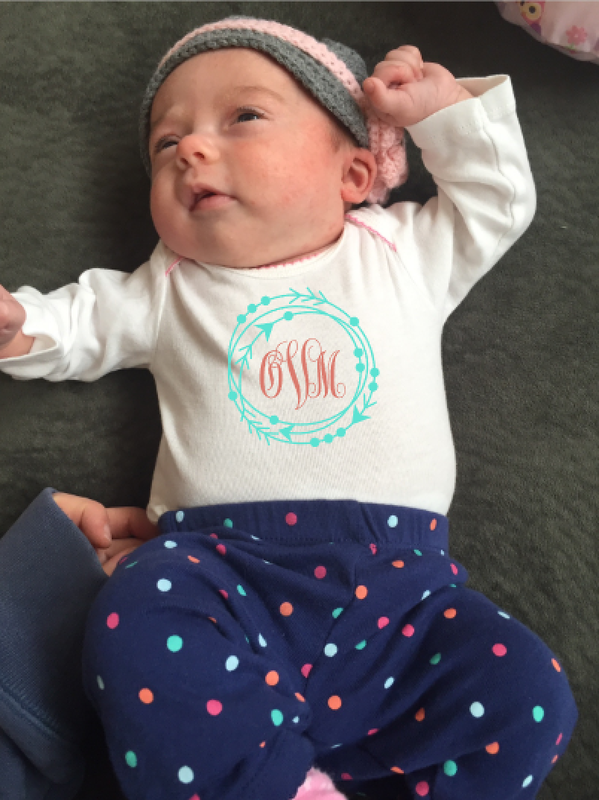 Look how cute this is on a onesie for a new baby! 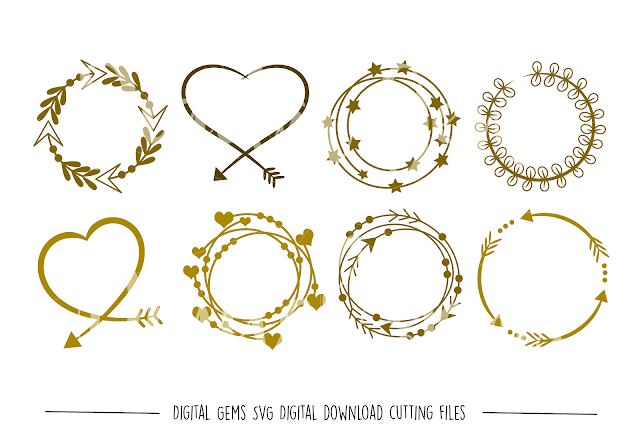 Alright now that you're drooling over these five sets of must have monogram decal designs, let me show you what else you get with this Craft Away bundle from Craft Bundles. You have to hurry to grab it though because it's only around for a couple more weeks! Melissa, thank you so much! 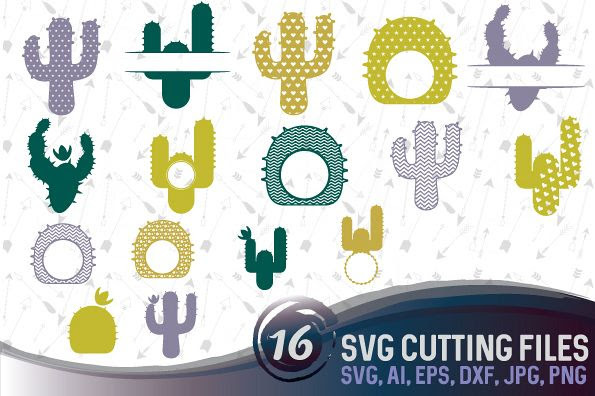 I have the set but didn't think about grouping some of the designs like you did with the cactus set. I'm teaching myself to sew so my goal is to sew and then use my Silhouette for designs!